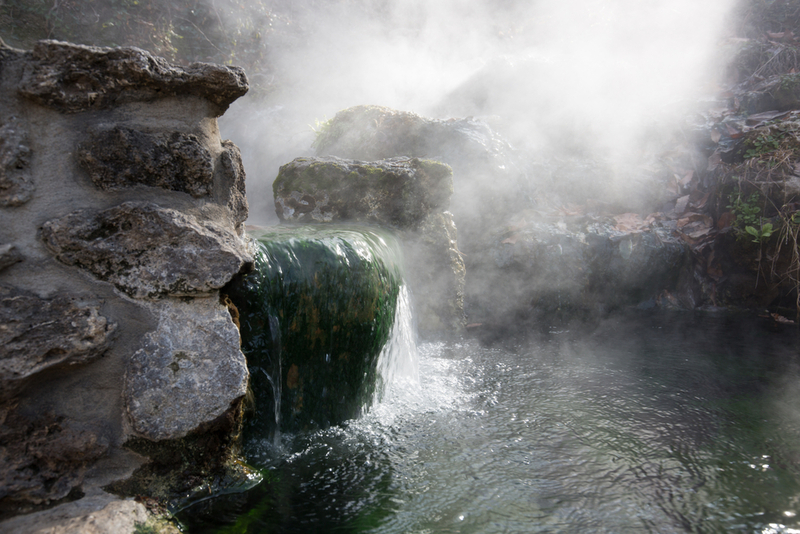 The water used in the Peninsula Hot Springs is from a deep well below the Earth’s surface. It is natural mineral water like this that is used as a restorative treatment for many such ales and illnesses such as arthritis and infertility. Balneology is the study of the positive effects that natural mineral water can have on the human body. Thermal hot baths can invigorate blood circulation and cell oxygenation. This stimulates the body, improving digestion and the ability to detoxify. Therapists in Australia also combine massaging with mineral water spas for post-op rehabilitation and stress relief. Bathhouse – This is the basic tier and is for a more social experience, with people of all ages admitted. There are over 30 different types of experiences that you can indulge in with the bathhouse package including hand baths, foot baths, massaging showers, clay ridges and much more. Spa dreaming centre – This tier is a little more exclusive purely because it is designed for people aged 16+. Some of the activities include saunas (both traditional and infrared), Moroccan Hamams, massages and a variety of thermal mineral pools. Private bathing – The private bathing tier allows you to indulge in a more tailored experience as you have the option of enjoying the baths alone, with a partner or perhaps just with a small group of friends. This tier allows you to enjoy the bathing pavilion or an outdoor private bath. There are also around a dozen different packages that combine bathing, massages and meals for the ultimate cleansing experience. A Hamam is a Turkish bathhouse and is widely associated with the days of the Ottoman Empire. A Hamam can also be a reference to a hydrotherapy treatment boasting multiple health benefits for the mind, body and soul. The Peninsula Hot Springs offers a Hamam and bathepackage which includes a complimentary exfoliation mitt (Kessa glove) and olive oil soap (Savon Noir) to be used during the workshop. In a Hamam you use the Kessa glove to polish and cleanse your skin, before using the Savon noir black soap for massage purposes, adding a silky feeling. This package includes access to the bathhouse for bathing as well. The immersive cultural walk is a two-hour experience which takes you through the ancient cultural landscape of the Mornington Peninsula. The focus of this package is on educating visitors about the Koori Nation’s indigenous culture. You will be introduced to bush tucker and indigenous medicines as well as learn about the cultural significance of the land you’ll be guided through. There will be stops every now and then to learn about ancient Dreamtime stories associated with local landmarks. The experience concludes in the Hot Springs cultural meeting space – which was designed in collaboration with Aboriginal Elders – where a didgeridoo meditation awaits you. Afterwards, you may relax in the geothermal pools of the bathhouse. The bathhouse amphitheatre café – With a stunning view of the amphitheatre, this café contains a range of healthy meals with ingredients mostly harvested from the Hot Springs’ own grown food. Enjoy seasonal art and performances that are held in the amphitheatre. Spa dreaming centre café – Whether it’s for breakfast, lunch or dinner, the spa dreaming centre café has you covered, with a fully licensed bar and complete table service, you’ll be able to enjoy a lavish meal with a view of the Hot Springs themselves. Royal Moroccan tent – This large tent is for events only for groups between 8 – 30 people. It is perfect for a birthday party or friends’ weekend away. Coffee hut – A small coffee stand and outdoor sitting area for when you need a quick pick-me-up. Melbourne bus hire is the best way to visit the Hot Springs with a group of friends. It offers a stress-free way to enjoy the trip without having to worry about driving. We specialise in Melbourne bus hire here at Melbourne on the Move, so please get in touch with us today to book your Hot Springs trip away on 1300 55 86 86. Alternatively, you can get in touch with us through our website here.